Size of this preview: 472 × 599 pixels. Other resolutions: 189 × 240 pixels | 378 × 480 pixels | 473 × 600 pixels | 605 × 768 pixels | 807 × 1,024 pixels | 2,364 × 3,000 pixels. 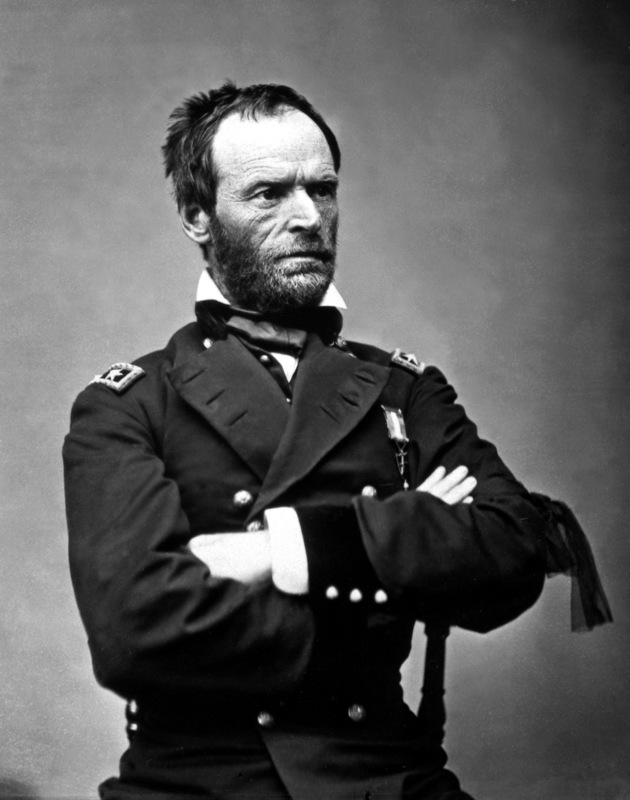 English: General William Tecumseh Sherman, 1865. Français : William Tecumseh Sherman, en mai 1865. Le ruban noir autour de son bras gauche est un signe de deuil de la mort du président Lincoln. Portrait par Mathew Brady. This media is available in the holdings of the National Archives and Records Administration, cataloged under the National Archives Identifier (NAID) 525970.